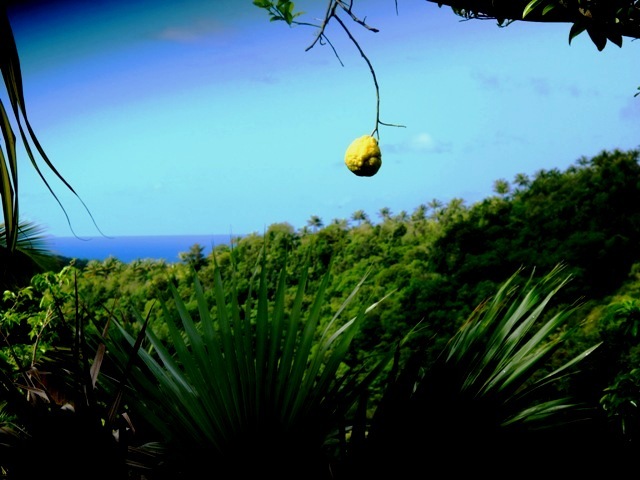 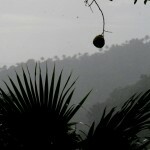 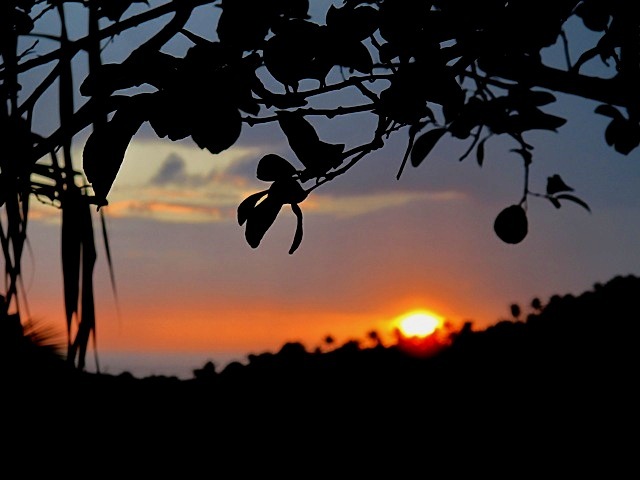 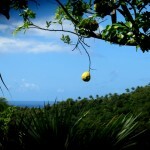 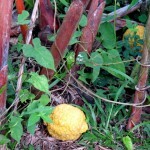 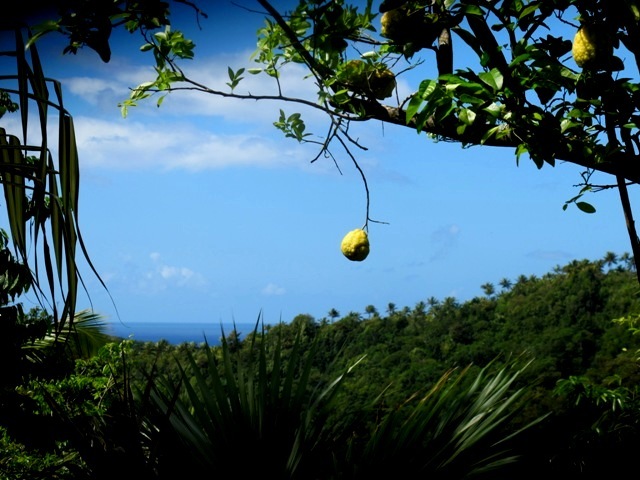 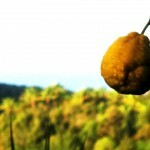 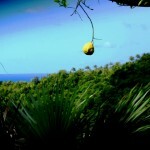 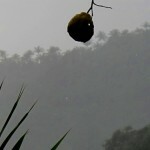 This “special’’ lemon appeared the day, sometimes in January, when Clem, as a late New Year’s present, cleared out the bush and trees around the porch which were growing wild and taking over for years without my noticing and I forgot I had a wonderful view of the Caribbean sea right there. 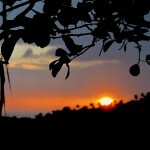 It was a great joy to recover the sea under my eyes everyday from the studio. 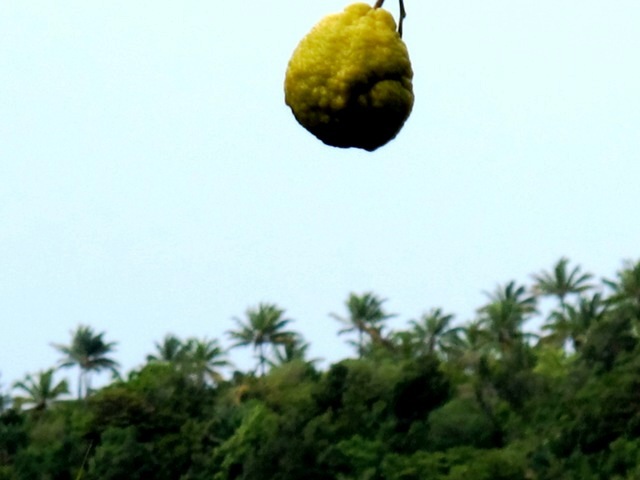 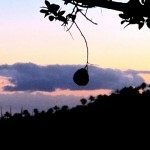 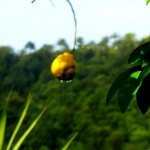 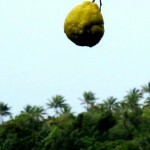 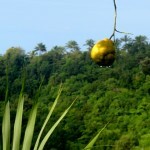 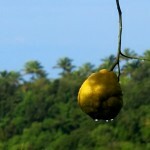 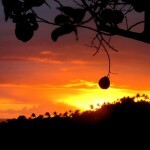 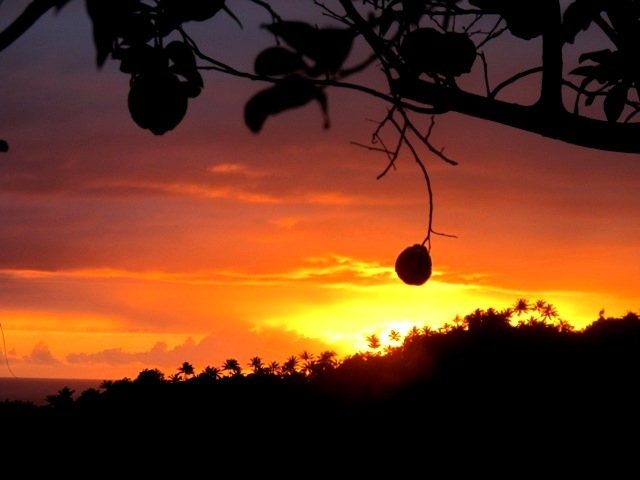 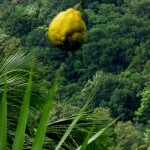 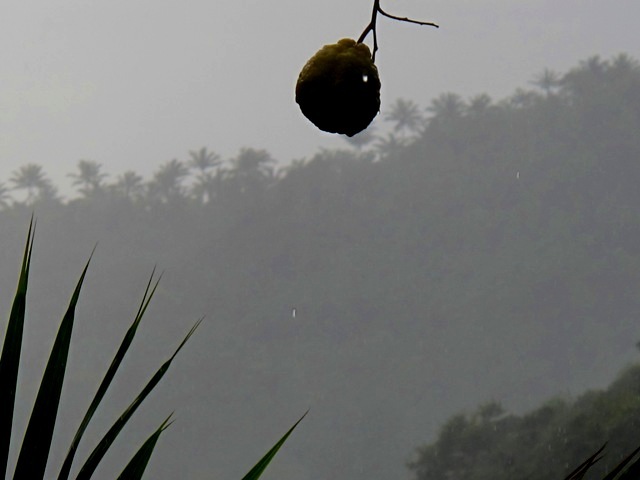 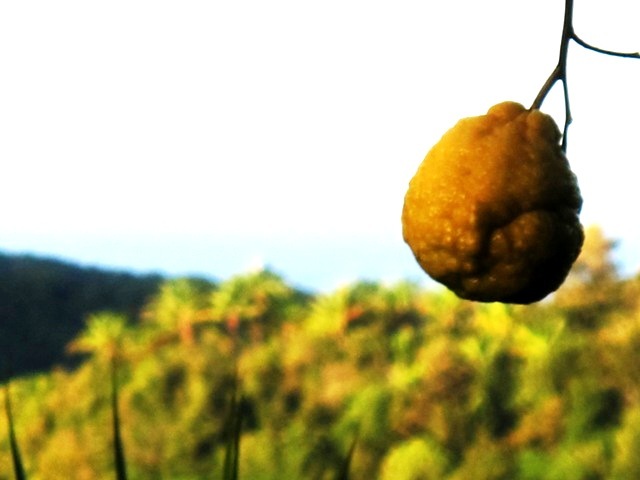 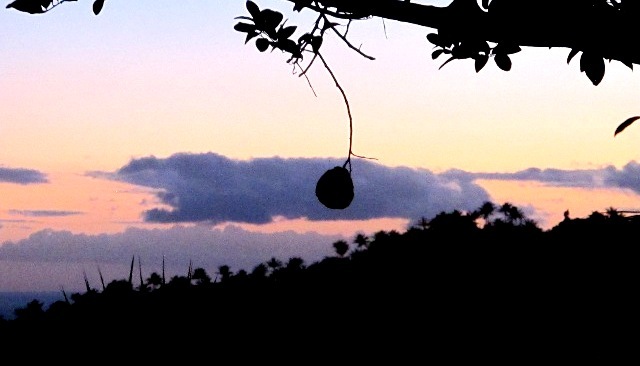 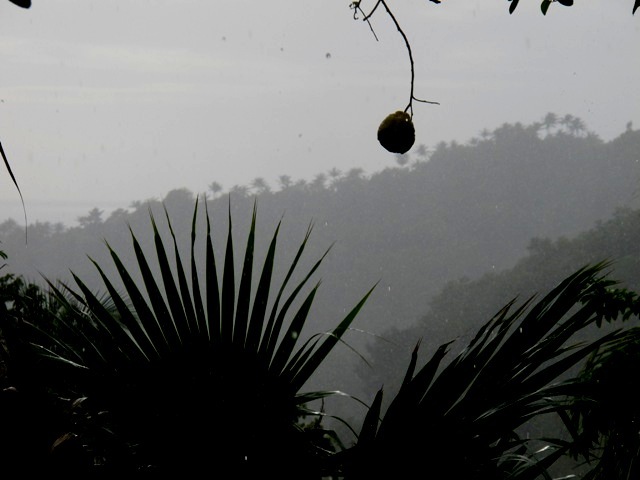 And there it was, hanging over the exquisite view in its rugged, warty, “crapaud like”skin, the Lemon. 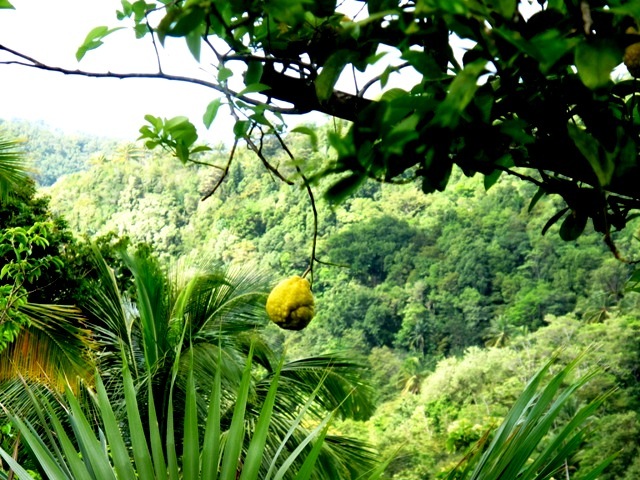 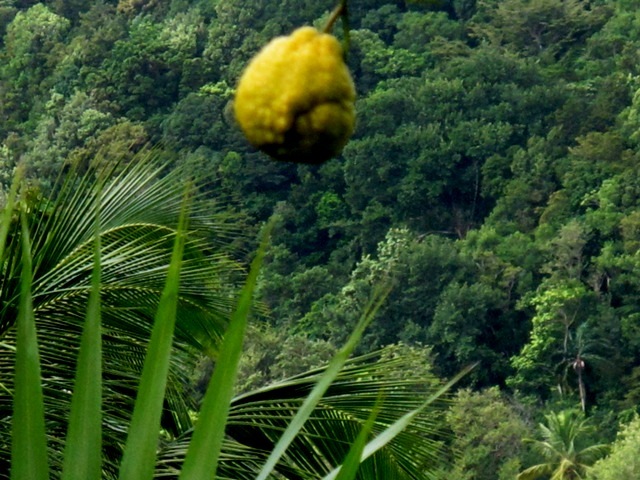 A little history about this “citrus hystrix”, native of Indonesia then introduced in Mauritius end of the 18th century, it is called lemon, citron, kaffir lime, makrut or combava. 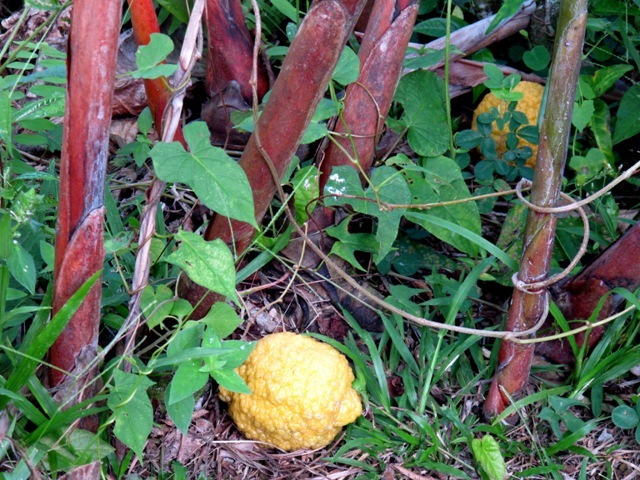 The skin is rough and furrowed and changes as it ripens from green to a bright yellow. 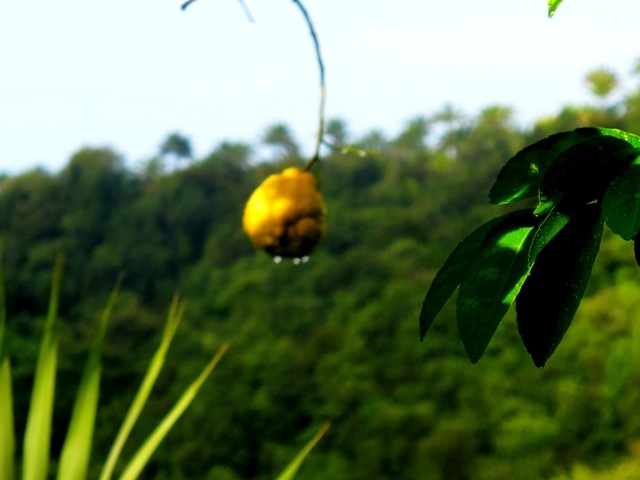 The leaves are used for cooking in Indonesian or Thai cuisine, and also processed into essential oil called combava, a wonderful remedy for inflamation, rheumatism, digestive problems, stress and anxiety. 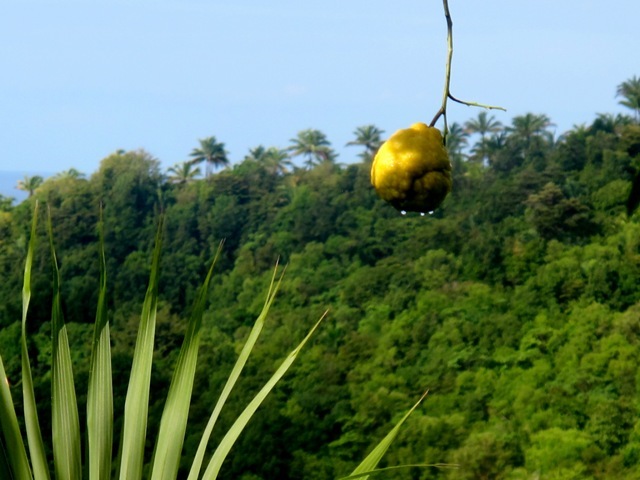 The juice finds use as a cleanser for clothing and hair in Thailand. 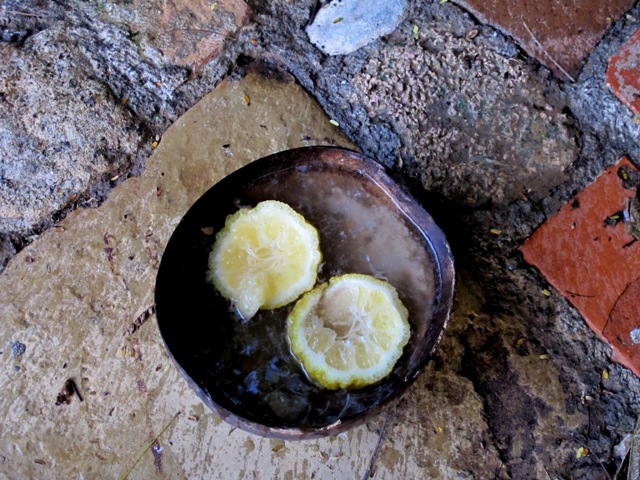 Lustral water mixed with slices of the fruit is used in religious ceremonies in Cambodia. 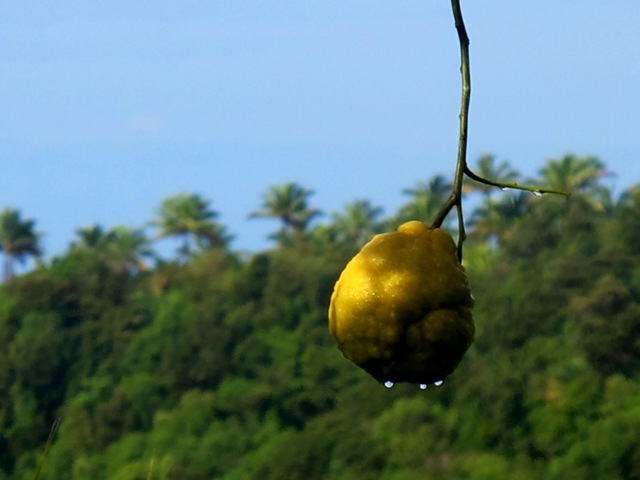 The lemon tree is there right in front of me with all his fruits , I found one on the ground this morning, it reminds me that the lemon s’story will end soon, sad but everything is fleeting, we have to enjoy the present. 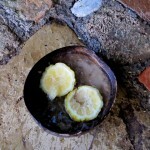 Let’s squeeze some to make a juice, top thirst quencher and as a tip I’ll add a little bit of ginger in it . 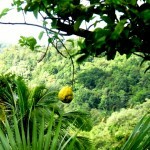 Don’t forget use it (lemon or lime) with some water to rinse your hair, magic result : your hair will shine full of life.